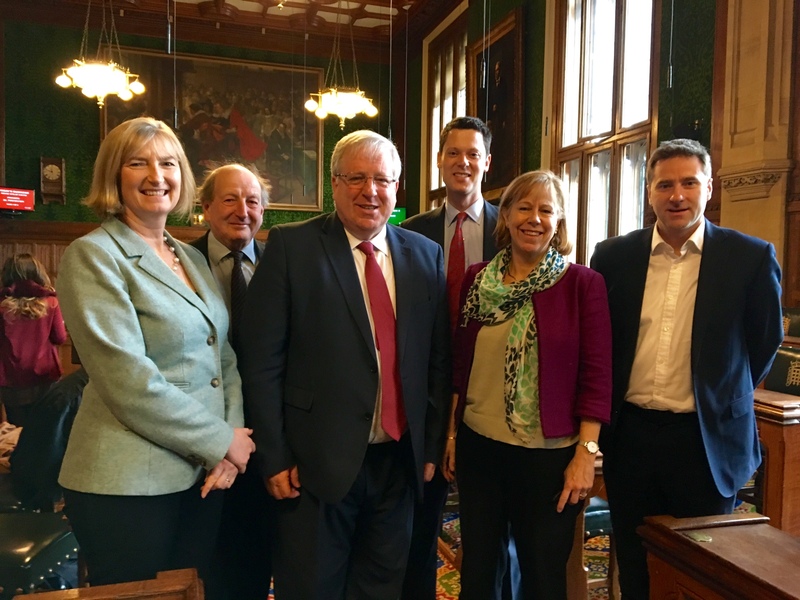 MPs and Lords from the All Party Parliamentary Cycling Group met Patrick McLoughlin the Secretary of State for Transport (SoST) yesterday (13 January) to discuss the funding of cycle schemes and the importance of making cycling safer in order to increase levels of cycling in England. The Secretary of State for Transport said that he will be “very mindful to fund cycling bids submitted through the Local Growth Fund”. When challenged on the APPCG call for spending £10 per head, per annum on cycling (one of the APPCG’s 18 Get Britain Cycling recommendations), he said he while he could not guarantee it, there is no reason why “all the pots of money available to cycling, won’t add up to £10 per head”. APPCG Members invited the Secretary of State to consider following the lead taken by the Highways Agency and ensure that all DfT-funded road schemes are cycle-proofed. As HGV-related cycle deaths has been a major issue for the APPCG, members sought assurance that the SoST would focus attention on initiatives that reduces deaths and serious injuries of cyclists under the wheels of heavy lorries. Initiatives discussed included; incentivising hauliers to invest in direct vision lorries, encourage site developers to transport heavy loads by rail rather than road and for the DfT to work with other departments to consider hypothecating fines to make enforcement regimes more affordable for police and local authorities. APPCG members pressed the Secretary of State to develop and adopt a national set of design standards, based on the tried and tested work carried out in Wales and London. He was also asked to bring together and promote design best practice, a suggestion he said he would consider. With a cross party membership of MPs and Peers, the group’s mission is to promote work that gets more people in the UK cycling more often and more safely. Key activities undertaken by the APPCG include meetings in parliament, study tours, receptions and an annual summer bike. The APPCG is co-chaired by Ruth Cadbury, the MP for Brentford and Isleworth (Lab) and Alex Chalk, the MP for Cheltenham (Con). The group’s co-ordinator is Adam Coffman. The APPCG is registered with the House of Commons.